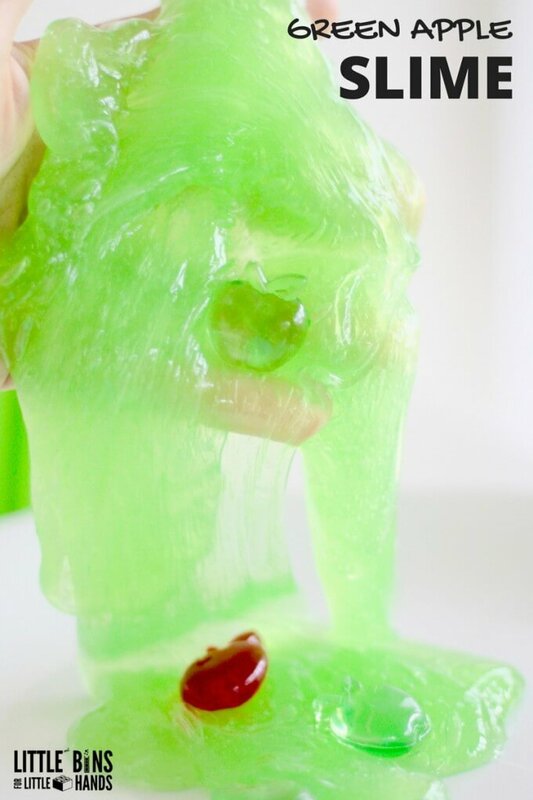 Fall, back-to-school, and everything apples makes this green apple slime a fun way to bring in the season. Young kids love seasonal themes. 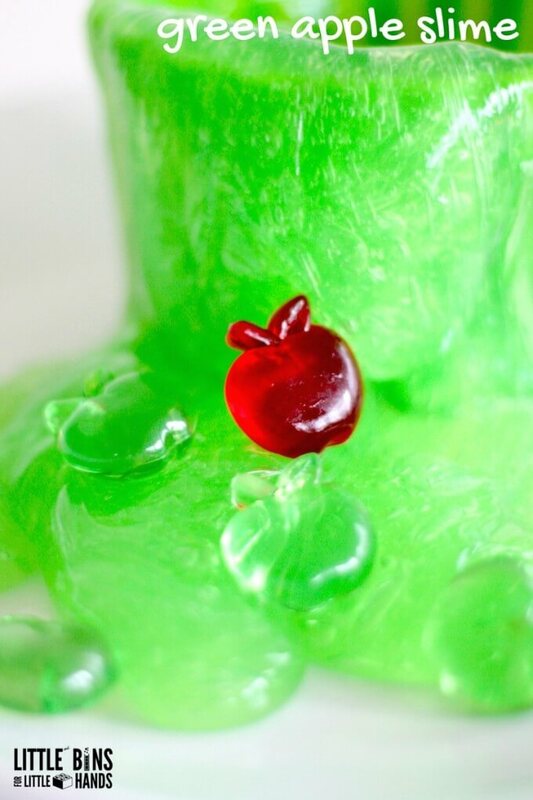 Start apple picking season with a fun apple themed slime! I always think of apples when I think of fall, and we do love slime. Our goal has to been to come up with fun slime themes for all the seasons and holidays. Check out our year of slimes to see what I mean! 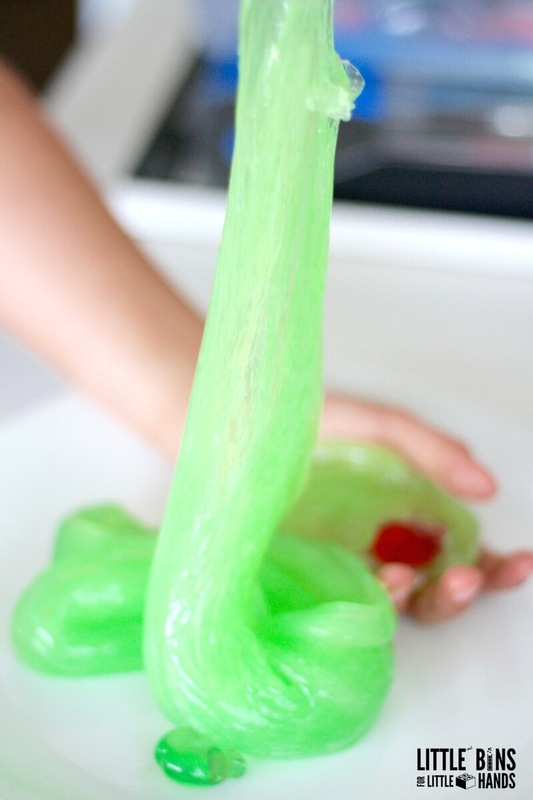 Our homemade slime with liquid starch is super easy to make! We have never had a bad batch and you won’t either if you follow our directions! The ingredients are important to the recipe as well as the amounts. I have created a page specifically for our liquid starch slime recipe. You will find instructions and pictures to help you make awesome slime in no time. Please click on the black button below. Below the black button, you will find a link for alternative slime recipes if you don’t have access to or do not want to use liquid starch. To achieve our green apple slime color, I used one drop each of green and yellow food coloring. Clear glue is best as white will yield a more pastel color slime unless you want to use a lot of food coloring. The food coloring has not stained our hands. 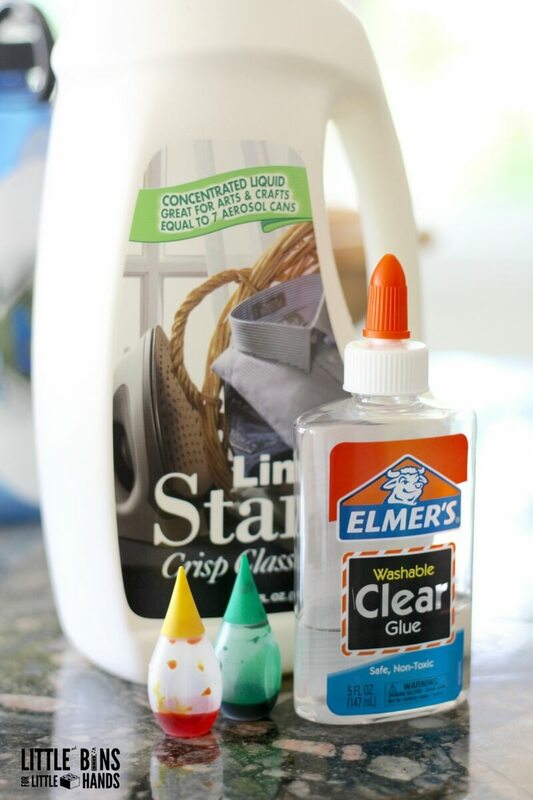 Try to keep your slime on a clean surface and off of clothes or rugs. Please do not eat slime. 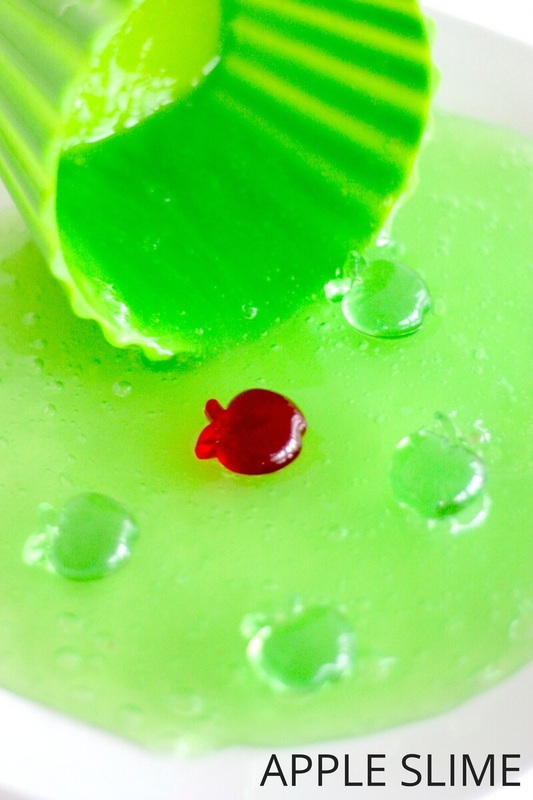 Try one of our taste safe slimes if you have kids who might be tempted to eat the slime! 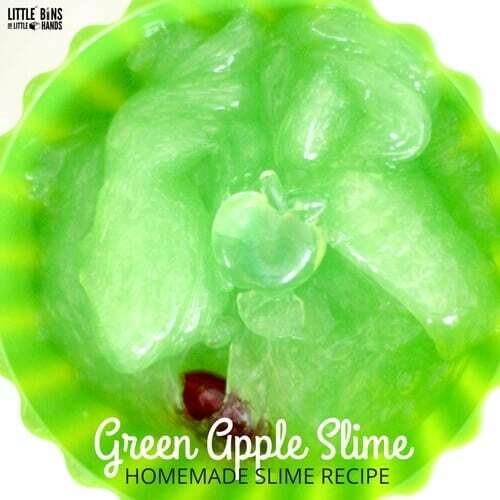 GREEN APPLE SLIME IS ALSO SCIENCE! Did you know that slime is a terrific science lesson for kids of all ages making it pretty cool to use during the school day too. Check out the basic science behind homemade slime to read more about polymers and the chemistry behind mixing slime. Take careful note when you are making slime as to what is happening. Feel free to use our free printable science worksheets to turn making slime into a great learning activity for older kids. 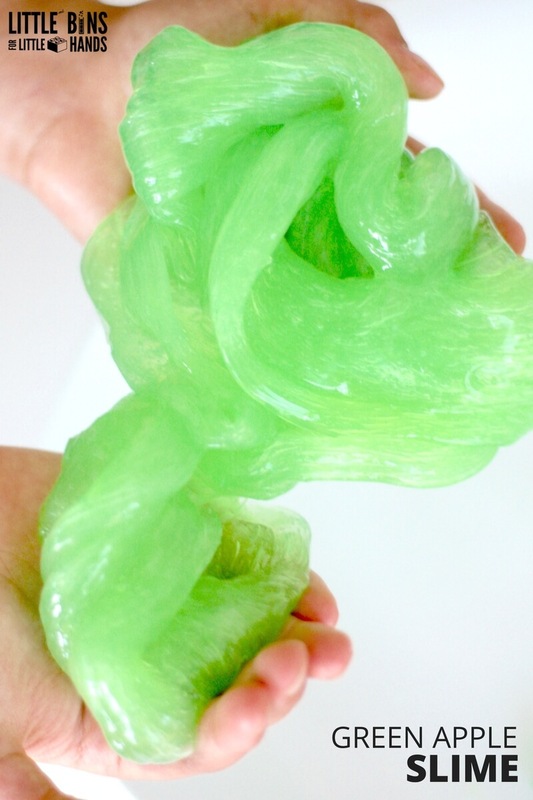 Our slimes are also an awesome tactile sensory play experience for kids who love to feel textures! Slime can actually be quite soothing to play with and to watch as it flows slowly from a container. 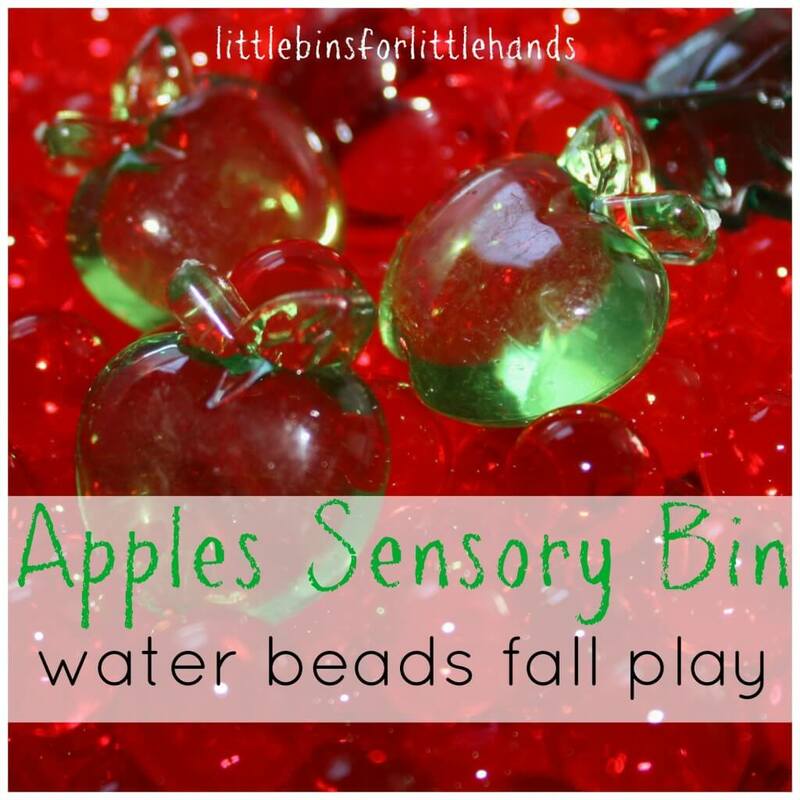 We have added this to our list of favorite sensory play recipes! Plus it can also be used for calming and focusing fidgety kids or relaxing anxious kids. Slime is an incredible substance. 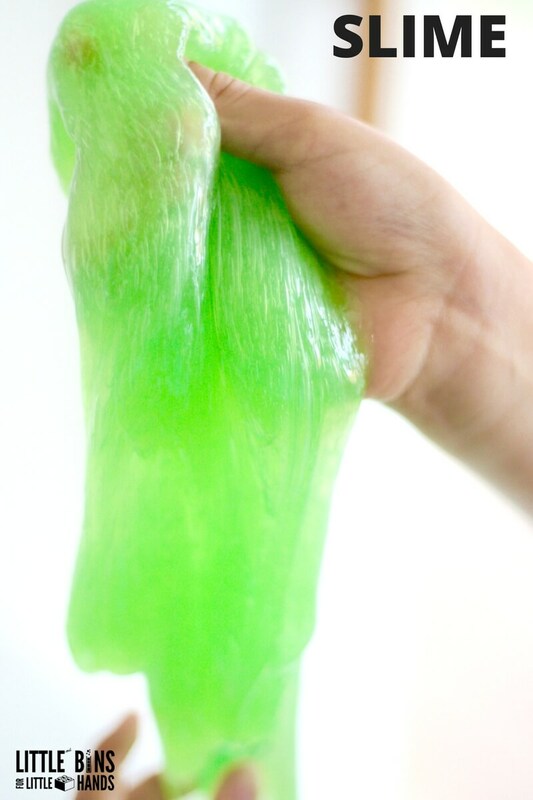 You can squish it into a ball and try to bounce it or you can let it ooze and stretch through your fingers. Have you ever played with another classic called oobleck? It’s a non-newtonian fluid and pretty cool. Don’t know much about non-newtonian fluids, read all about our oobleck recipe. We have made slime so many times that I have to add it to our list of classic science activities every kid must try! I always thought making a cool slime like this would be impossible, but it really isn’t! We have had these little plastic acrylic apples for quite some time now when we first bought them for our apple water beads play! Save things as you never know when they will come in handy again. I keep a large bin for our supplies and separate seasonal items into zip lock bags! 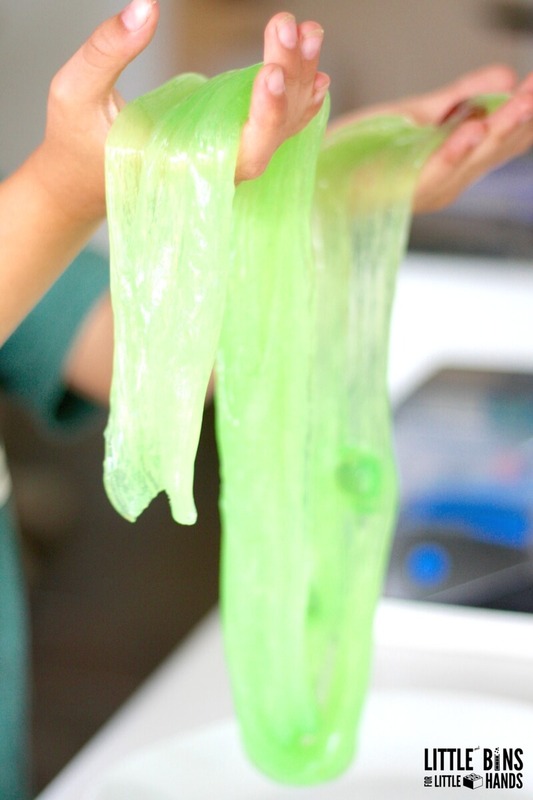 Explore science and tactile sensory play with this easy homemade slime recipe. 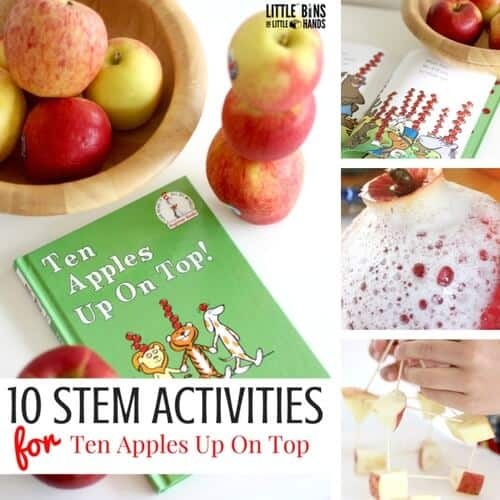 Pair it with a copy of Ten Apples Up On Top by Dr. Seuss to add a literacy component too! Fall is so much fun! 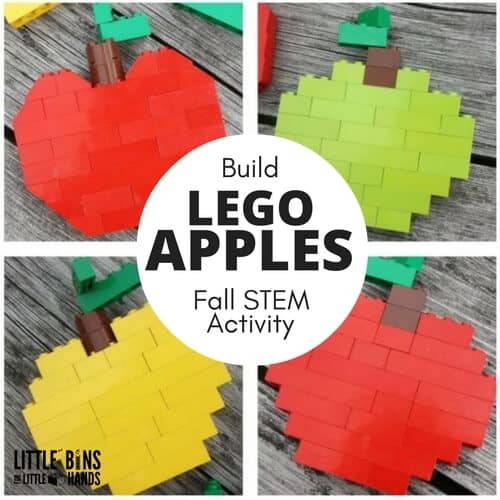 CHECK OUT MORE FALL FUN WITH REAL APPLES! Amazon picks for making this slime! See disclosure.